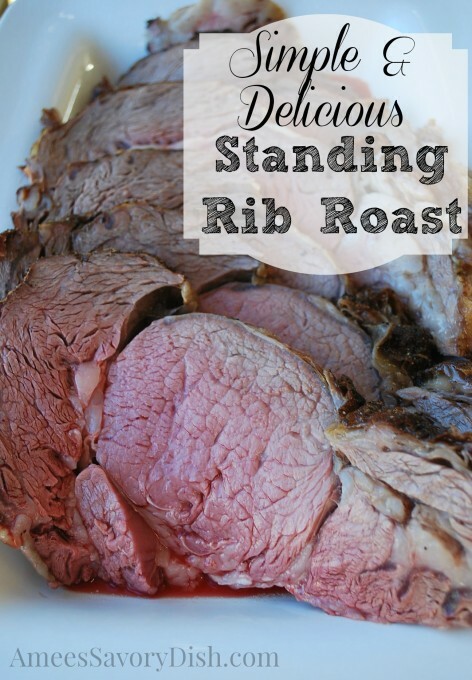 Standing rib roast is a rich beef roast, perfect for serving on special occasions. As impressive as it is, this roast beef recipe is incredibly easy to make, and will be the star of your dinner! *I am a member of the 2014-2015 Beef Expert Bureau funded by The Beef Checkoff. All opinions are my own. 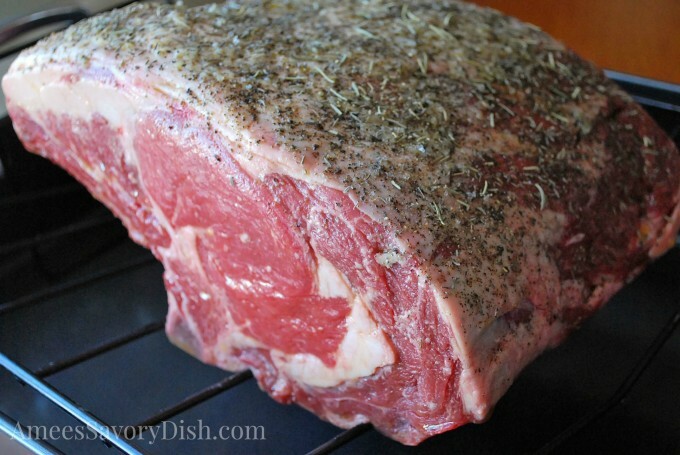 Standing Rib Roast is a holiday tradition in our house. My husband requests it every year. It’s the perfect roast for a special occasion or anytime that you want to really impress your guests. Nothing beats the flavor of a perfectly aged and beautifully marbled beef roast. Ask your butcher for a USDA Prime Grade steer roast, if available, for superior flavor. It can be hard to find, since most of the prime cuts go to restaurants and specialty butchers. If prime is unavailable, go for Choice, still amazingly delicious. 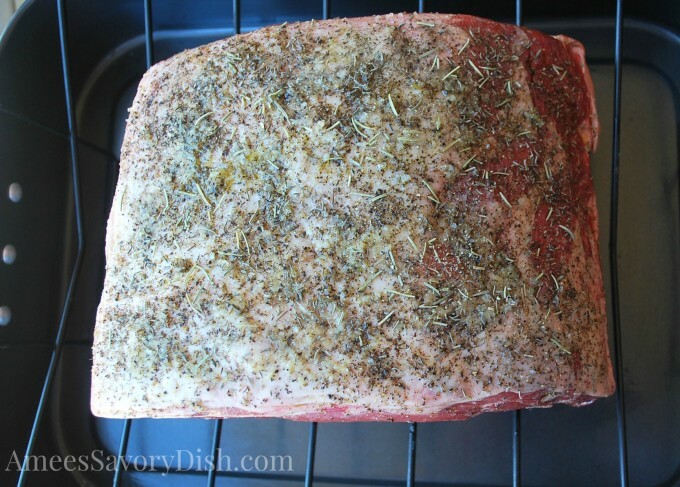 This recipe for standing rib roast is really simple, as long as you use an oven-safe meat thermometer. If you don’t already have one of these handy-dandy meat gadgets, I’m sharing the one I use and love below. It doesn’t have to be expensive, but I seriously can’t imagine cooking meat without it. It takes all the guess work out of meat preparation. A well-seasoned exterior, creates a delicious crust and really flavorful drippings. I hope your guests enjoy the standing rib roast dinner! Remove from the oven and allow roast to rest for 15-20 minutes, the roast should be a perfect medium-rare after it's given proper time to rest. Also, don’t forget the horseradish. I can’t imagine eating prime rib without burning my nasal passages with a really big hunk of fresh horseradish on top. Yum! Y to the U to the M!!! I use that same meat thermometer and I have guaranteed doneness each and every time. Perfect!! !